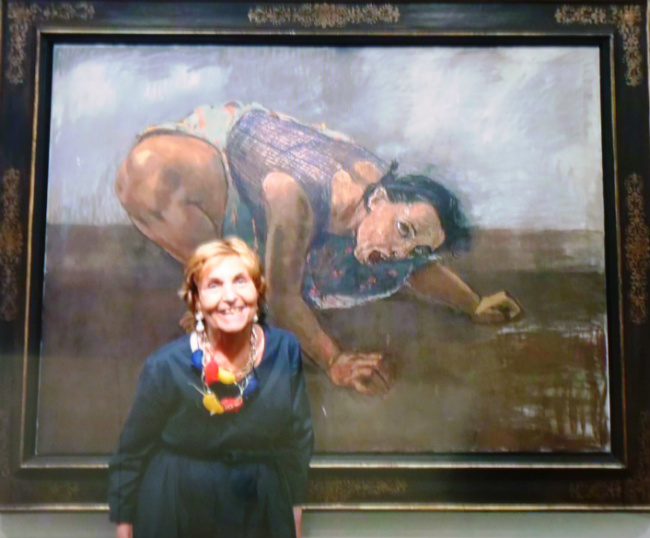 This fascinating and formidable exhibition of the hugely talented Portuguese born artist, Paula Rego, not only includes her unique, often disturbing, interpretation of well known fairytales, but also her equally unflinching narrative paintings of her own personal experiences. Rego’s paintings are as compelling and as uncompromising as those of Francis Bacon, but with Rego it is the women who are strong and solid, totally grounded in the frame with faces often bordering on the masculine. In Rego’s “Dancing Ostriches” from Walt Disney’s Fantasia, her ballerinas are heavily muscled and awkward in their black tutus, features harsh with exhaustion but still imbued with a sense of defiance and strength. 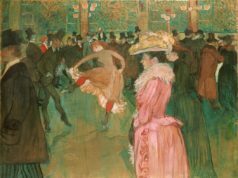 Displayed opposite this broodingly, dark triptych with deliberate irony, are the floatingly feminine ballet dancers of Degas– the accepted vision of female ballerinas. There are no subjects that are taboo for Rego. Her paintings do not always make for comfortable viewing; that was never her intention. There are few, if any places to hide from the truth, sometimes brutal, of her subject matter. Murder, childbirth, abortion are all valid, indeed necessary explorations to be embraced with all the uncompromising honesty that are Rego’s trademarks. Rego is a story teller, the stories complex, subversive and often ambiguous, plundered from myths and fairy tales, religion, politics and the experiences of those around her as well as her own. The viewer has to work to discover the clues to finish the story even if it is finally their own interpretation of the ending. Animals and birds feature heavily in Rego’s paintings. Dogs are often menacing but Rego’s dog women series are her interpretation of the empowerment of women, not as women as animals. Only her cats appear benevolent and unthreatening. Although Rego’s childhood in a highly religious Portugal still ruled by the dictator Salazar and her grandmother’s vivid storytelling has heavily influenced her art, each chapter of her life, however painful, she has displayed on canvas without evasion or sentimentality. This is an extraordinary exhibition from a complex, cerebral artist whose paintings will stay in your head long after you have left the museum. 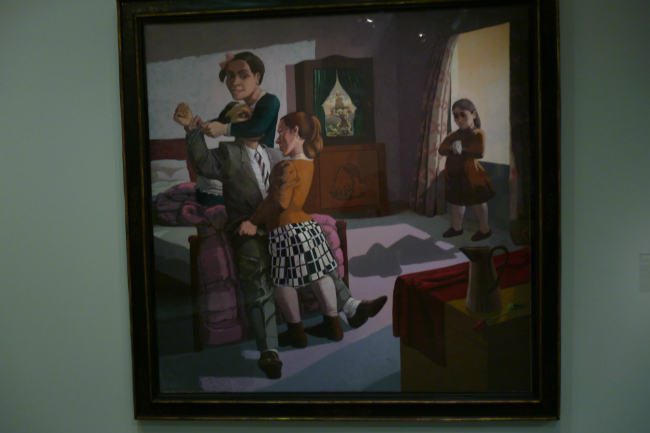 Paula Rego was born in Lisbon on the 26th of January, 1935. Her family was middle class and liberal and her early artistic promise was encouraged by her anglophile father who supported her application to the renowned Slade School of Art in London. Paula spent four years at the Slade from 1952 until 1956. It was at the Slade she met her future husband, Victor Willing. Her paintings and collages were already exuberant with vivid colors and storytelling– influenced by a newly discovered Dubuffet. Vic encouraged her to draw, indeed drawing became a life-long obsession for Paula; she not only loved drawing but it also gave her inspiration between paintings. The couple moved to Portugal, living in the villa at Ericeira that her father had built. Paula was already being recognized for her inventive narrative style and had a successful first solo exhibition in Lisbon in 1966 where she was viewed as a political artist of sometimes violent imagery. Portugal in 1966 was not the same as London in 1966 and Rego was considered to be extremely controversial and decidedly nonconformist. However 1966 also held torment for Rego; her father died and Victor was diagnosed with multiple sclerosis. His career as an artist finished. In 1974 after the collapse of her father’s business during the Portuguese Revolution, the family moved back to London. By now Rego and Willing had three children, Caroline, Victoria and Nicholas, and they would be supported solely by Rego’s painting. Rego’s art was constantly evolving, she was working mainly in acrylics and collage throughout the 1970s, still fascinated by Portuguese fairytales. In 1975 she was awarded the Gulbenkian grant to study and three years later exhibited to great acclaim at the Royal Academy in London. The 1980s found Rego abandoning collages and radically changing her way of painting and in 1981, the red monkey made its first appearance. Fascinated as always, by opportunities for her own take on storytelling, Rego was immediately drawn to her husband Vic’s memories of childhood play involving a toy theater whose only characters were a red monkey, a bear and a one-eared dog. The series of paintings involved the animals in human situations, some extreme, as the self explanatory “Wife Cuts off Red Monkey’s Tail,” “Red Monkey Beats his Wife,” and “Pregnant Rabbit Telling her Parents.” Although often savage, there are always touches of humor to be found; in “Red Monkey Offers Bear a Poisoned Dove,” the bear is inexplicably wearing very cool sunglasses. The pregnant rabbit has her arms outstretched emphasizing her distended stomach while her mother with spiked legs smokes a fat cigarette. 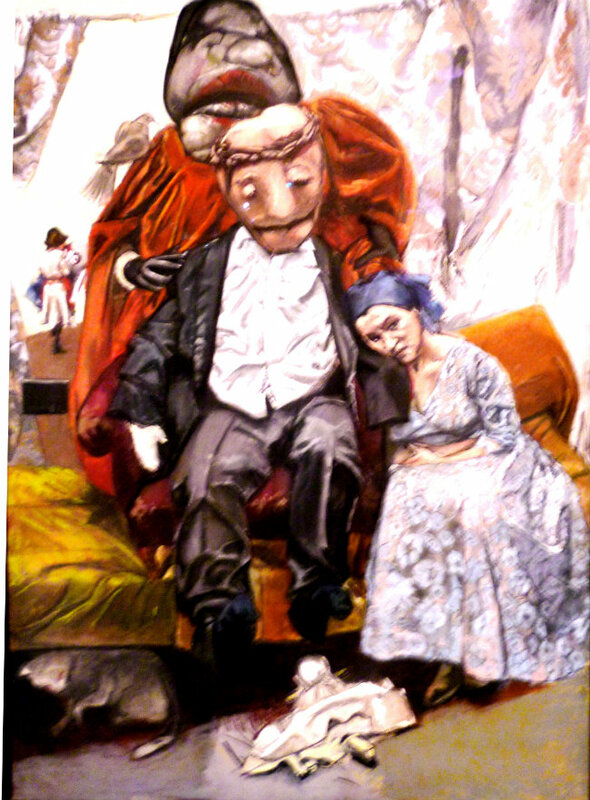 In 1987, with her series, “Girl and Dog,” Rego’s work was exhibited in London at the Edward Totah Gallery. The exhibition was a landmark in Rego’s career. The commercial success of “Girl and Dog” resulted in her signing a contract with the Marlborough Gallery and for the first time Rego’s work was exhibited on the international market. Financially, she did not look back. Victor Willing died in 1988. 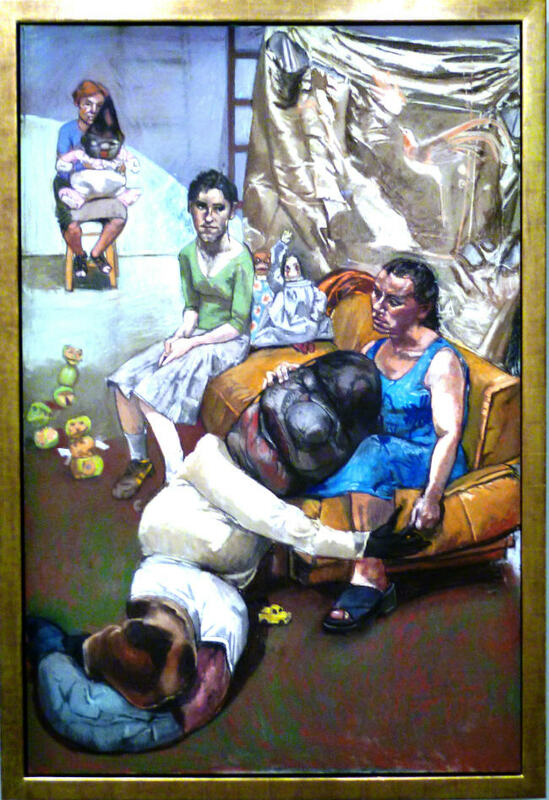 Rego’s grief was translated in her paintings. “Departure,” “The Soldier’s Daughter”, “The Cadet and his Sister” and “The Exile”– all set in a Portugal steeped in memories, beloved to both of them. 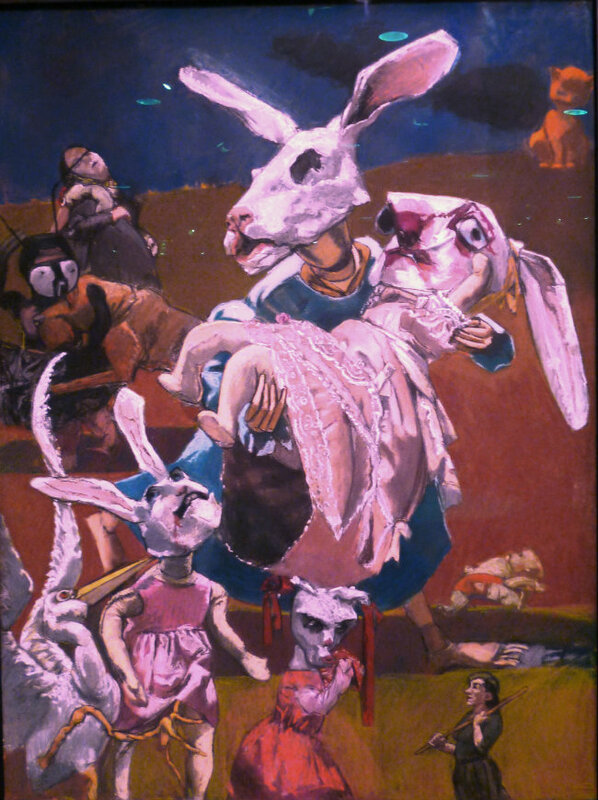 The following year after a solo exhibition at The Marlborough Fine Art Gallery, Paula Rego; ‘Nursery Rhymes’, her painting “The Dance” was bought by the Tate Gallery. Two years later in the new Sainsbury Wing of the National Gallery, Rego’s mural “Crivelli’s Garden” is hung. By now, Rego was immersing herself in print making, drawing straight onto the plates. Her first major series of etchings interprets classic nursery rhymes unlikely to induce a peaceful night’s sleep. In 1990, Rego was appointed the first Associate Artist at the National Gallery. The post came with a studio, strangely windowless, which she actually preferred to work in. The Dog Women series was inspired again by a story of a woman driven mad by loneliness and isolation, devouring her pets. “Baying,” “Scavengers,” “Grooming,” “Bad Dog” and “Sleeper” were the resulting paintings. Strong, sexual women, crouching or laying on the floor, sometimes with teeth bared, these dog women are not for the faint hearted. The pastels were exhibited at the Marlborough Fine Art Gallery. Forever impassioned by empowering women and detesting subjugation, Rego embarked enthusiastically in 1998 on her “Untitled” series on abortion in order to influence the outcome of the Portuguese referendum on its legalization. The memory of poverty and back street abortions in Portugal had never left Rego’s consciousness. 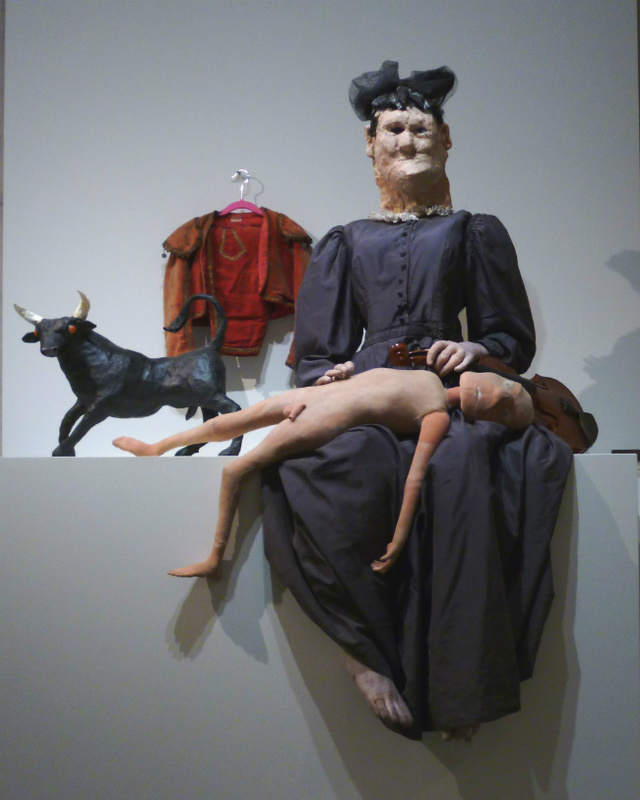 From her “Pillowman” triptychs, helped in her studio by her son-in-law the sculptor, Ron Mueck, Rego went on in 2002 to another triptych of Jane Eyre, Edward and Bertha’s monkey– a monkey who would not be out of place at Halloween. Rego continues to work. Art is her obsession, as is her admiration for strong, working women, especially those Portuguese women she had lived amongst who had endured a hard, often pitiless life with courage and practicality. These women are Rego’s inspiration. They are the reason she will never stop fighting for them in her paintings. 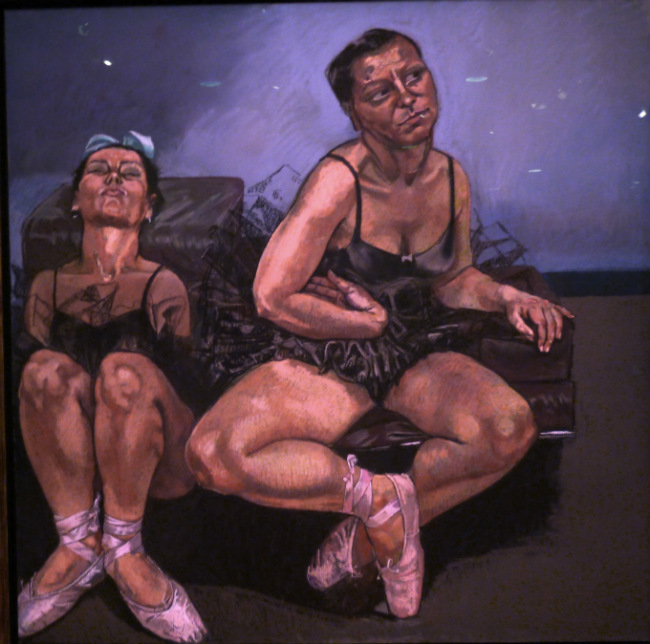 Les Contes Cruel de Paula Rego is on at the Musée de l’Orangerie until 14 January 2019. Entrance 9 euros which includes the permanent exhibitions, featuring Monet’s waterlilies. 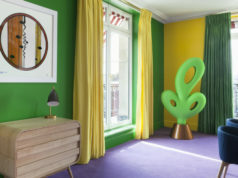 Address: Jardin Tuileries, 1st arrondissement. Tel: +33 (0)1 44 77 80 07. Open from 9 am to 6 pm every day except for Tuesdays, when the museum is closed.